Conarium, the ‘cosmic horror’ game developed by Turkish team Zoetrope Interactive and published by Iceberg Interactive, will launch on Tuesday, February 12th on PlayStation 4 and Xbox One. Inspired by H.P. Lovecraft and largely set after his seminal novella ‘At the Mountains of Madness’ (1935), Conarium originally came out on PC in June 2017 to solid reviews. Ahead of the game’s debut on consoles, we chatted a bit with Kevin Shuttleworth, Producer at Iceberg Interactive. There was a recent surge in games inspired by the works of H.P. Lovecraft. Why do you think that was the case for you and other developers? 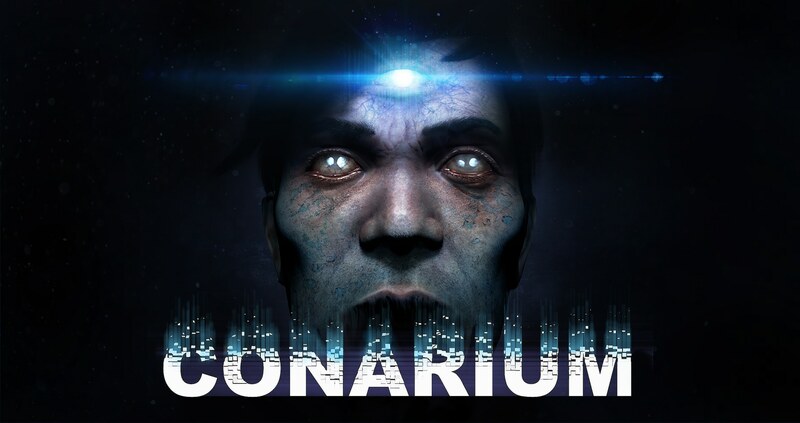 Conarium initially released in the summer of 2017 for Windows PC. The fact that the industry has recently seen an uptick in Lovecraft-inspired games is purely coincidental as far as we’re concerned. We always believed that Conarium could really shine on modern consoles, but porting them turned out to be a challenging process. Not just the technical end of things – making sure it looks comparable to the PC-release and runs smoothly – but making sure it abides by Sony’s and Microsoft’s handbook, which turned out to be an interesting challenge. That we’re releasing it amidst other games that were inspired by the same source material, is not something we planned for. Were you and the publisher satisfied with the critical and commercial reception of Conarium so far? In hindsight, is there anything specific you’d change? Players have really enjoyed the game so far, and we believe it’ll really come into its own on the big screen – meaning your TV, assuming it’s big. Fans of the game have been asking for the console release for quite a while now, and at certain moments in time, we were sure we could release it sooner. We were, unfortunately, wrong. We wanted to be sure we really gave the game its due and make this release is a good one, but in order to do that, we had to postpone the release a number of times. In the process, we disappointed people, and that’s regrettable. If we could change anything, it would be adding the knowledge we have now, knowing what it takes to port and release a game on consoles and communicate that knowledge to the community accordingly. If we would’ve known, we wouldn’t have communicated earlier release dates. Horror games nowadays usually come with a VR mode to enable full immersion. Did you consider adding this feature? We definitely discussed it. It’s fun, right? Seeing someone get spooked the heck out is hilarious, obviously. But more importantly, it can really add an extra layer of immersion to the experience. But, the fact of the matter is that the team is, as of yet, inexperienced in what makes a good VR-experience. We’d have to find a way to make the current game, in which you walk a lot, slowly, to take in the atmosphere, work in VR. Motion sickness was a major concern, and what we’d have to do to prevent it. Conarium wouldn’t work very well as an entertaining product if you’d simply teleport all over the place to progress. This works wonderfully for games like From Software’s Déraciné, but we don’t believe it’d work well for Conarium. Did you make any sort of changes to Conarium for the console versions, perhaps taking into account the user feedback you got from PC players? Conarium got post-release support with updates to fix issues, and so on. All of the post-release support has been integrated into the console versions of the game. Content-wise, it’s the same game. With regards to HDR support, which you’ve confirmed to be coming to consoles, will that be added to the PC version as well? We’ve talked about it, but for now, we’re holding off on that. HDR monitors are available but expensive and only available to those who can afford them. Until they become more readily available at a more affordable price point, we’re tabling this. Not because we don’t want to add support for those who have an HDR monitor, but because we’re working on something else that requires our undivided attention. What was your experience with PlayStation 4 Pro and Xbox One X? We really enjoyed working with these consoles. The first goal in porting the game to PlayStation 4 and Xbox One, was making sure we’d get the game to run well on the base consoles. That’s the base-line; most people own the regular editions of these families of consoles and that needed to be solid. It was only after we were sure that we had solid base builds, that we started looking at the extra capabilities of the Pro and the X, and we knew then that we wanted to offer something enhanced to those who own the more capable machines. In the ‘Favour resolution’ mode, what kind of native resolution are you targeting exactly on the two platforms? Will the Xbox One X have the edge graphically and technically, given that it’s more powerful? The ‘favour resolution’ mode does indeed behave slightly differently on the Xbox One X. On both the Pro and the X, the HUD elements output at a native 2160p. The game runs at 30 frames per second in this mode, also on both consoles. The difference lies in how the game applies dynamic resolutions in both versions. Conarium on Xbox One X and PlayStation 4 Pro uses Unreal Engine 4’s Spatial Resolution Scaling to upscale to 2160p. On Xbox One X the game runs at a fixed 80% resolution scale, which amounts to a native 2784 x 1728p output. On the PlayStation 4 Pro, there’s still a significant boost to the resolution, but natively it runs at a slightly lower resolution scale: 65% in most areas, slightly lower in some others, which dynamic resolution accounts for. When comparing the two versions side by side, however, you’ll really have to squint to see the difference. The most noticeable enhancement is the HDR10 support, but that’s also supported on the base PlayStation 4 of course. Since the game runs on Unreal Engine 4, have you considered porting it to the Nintendo Switch platform? We’re big fans of the Switch. Honestly, we’d play anything and everything on it if we could. For now, however, we’re not planning on porting Conarium to the Switch but never say never. Whether we intend to do it or not; it is a very interesting technical challenge. Going forward, would you like to continue with the Conarium series or perhaps you’d rather move onto something else? Conarium is a self-contained story, and although we’ll always have ideas on how to continue its story, we feel it’s better left alone. We’d love to keep working on Conarium, but the team has other great ideas. After working on one single project for so long, it might feel like it’s time for something new at some point. And that’s exactly what the team is doing. What that is, however, is a story for another time.